Have you tried a Belgo Banquet? The NEW menu is a classic set menu, featuring the best Belgo dishes, like our succulent Rotisserie Chicken and moreish Moules & Frites! 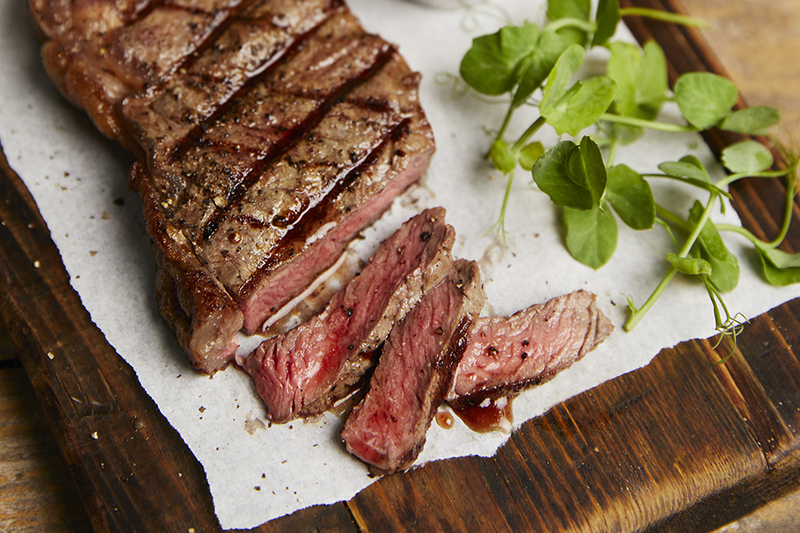 Select two courses for just £12.95, or let us tempt you to three for an extra £3! You can order from the Banquet menu every day of the week - but don't forget to book a table in advance, you wouldn't want to miss this... Book online for free text confirmation or call 0115 754 1765. Looking for an Express Lunch?! From 12 - 5pm, Monday - Friday, Belgo offers some favourites from their Express Lunch Menu, you can enjoy 2 courses for £9.95. Offer not available during December. Book online for free text confirmation or call 0115 754 1765. 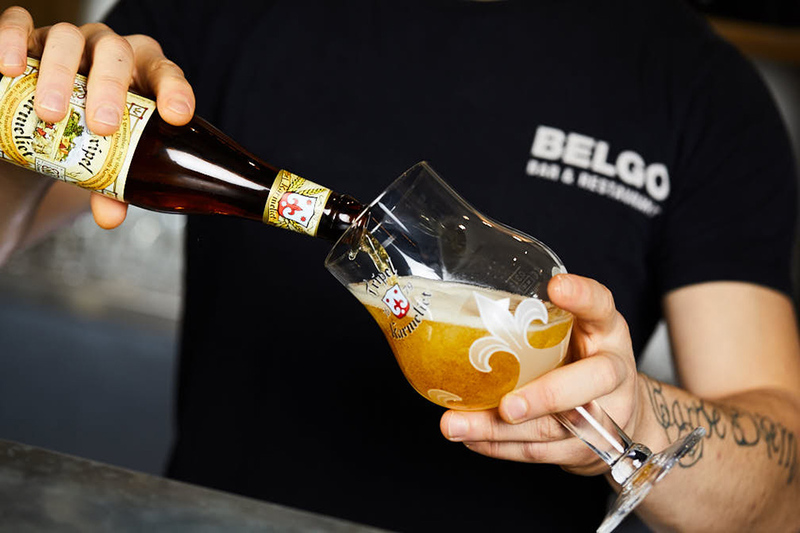 Belgo is proudly re-introducing one of their most successful menus and it includes three courses plus beer, wine or prosecco! All for just £19.95. It really is The Star Deal! Book now and check it out... Book online for free text confirmation or call 0115 754 1765. 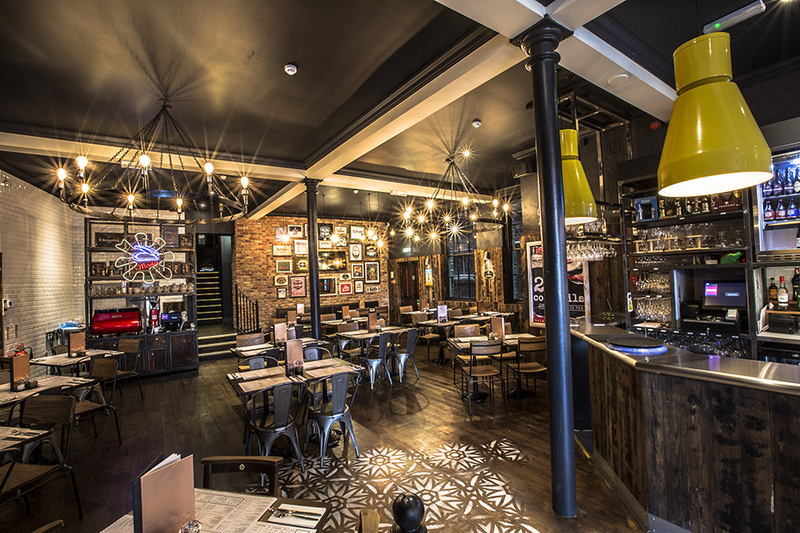 Treat your little one to a 3 course meal at Belgo for just £5.95! Book online for free text confirmation or call 0115 754 1765. 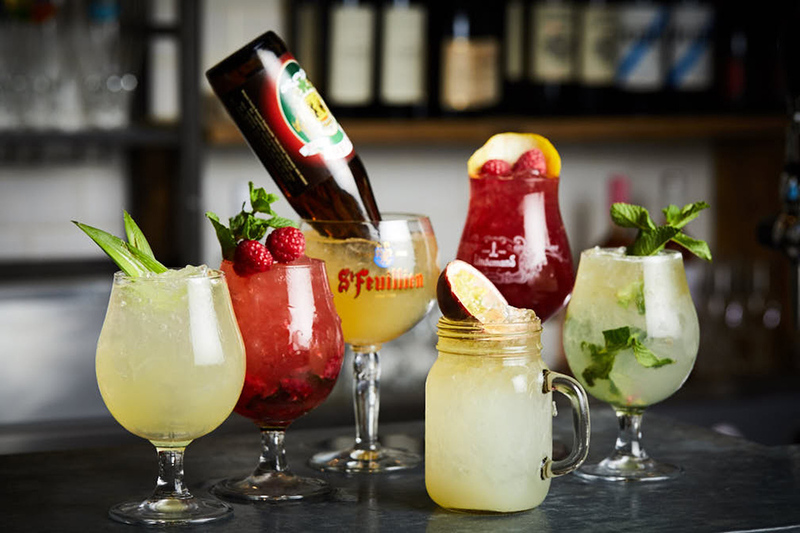 Visit Belgo for a 2-course meal from the Taste of Belgo menu and unlimited Prosecco, steins of Belgo Pils or Wit, or soft drinks for £30.00 per person (18+ only). 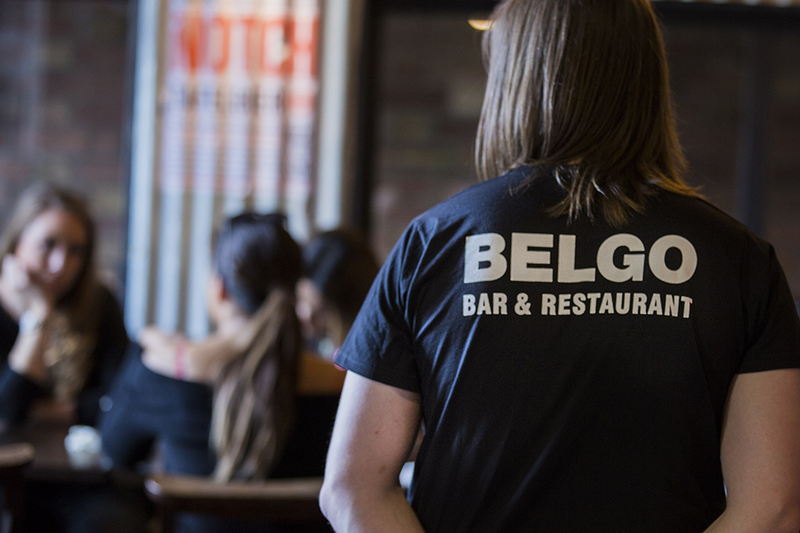 To enjoy our amazing bottomless package simply pre-book your table at our participating restaurants between 12noon - close every day on http://www.belgo.com/bottomless-belgo-main/ Book online for free text confirmation or call 0115 754 1765. 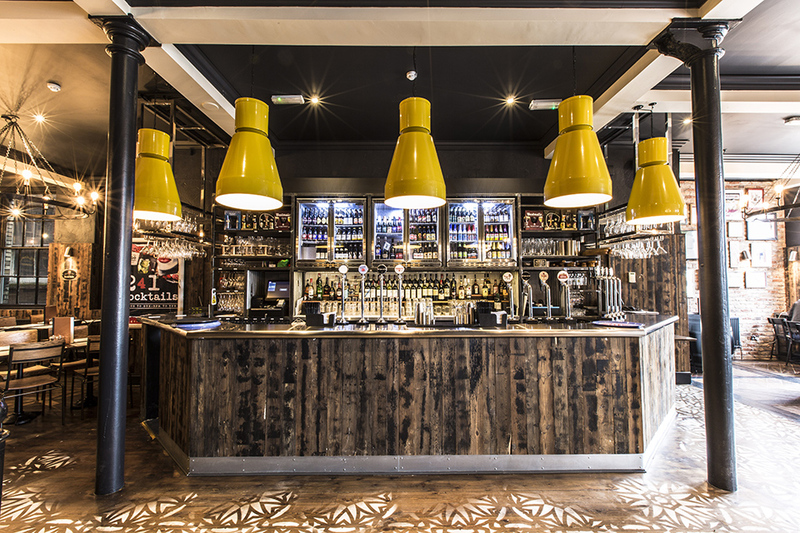 Great food, great setting and great staff, happy customer. Great food, very good service. Food was old on arrival, served on a cold plate, came back heated through on a cold plate, the waitress said they don't have a plate warmer. Average food bit overpriced. Very good service from the waiter. We ordered off the 2 courses for £12.95 menu, which was excellent value. Very good choice of Belgian beers/largers. The food came promptly and was very nice. Good atmosphere, would definitely go back again. 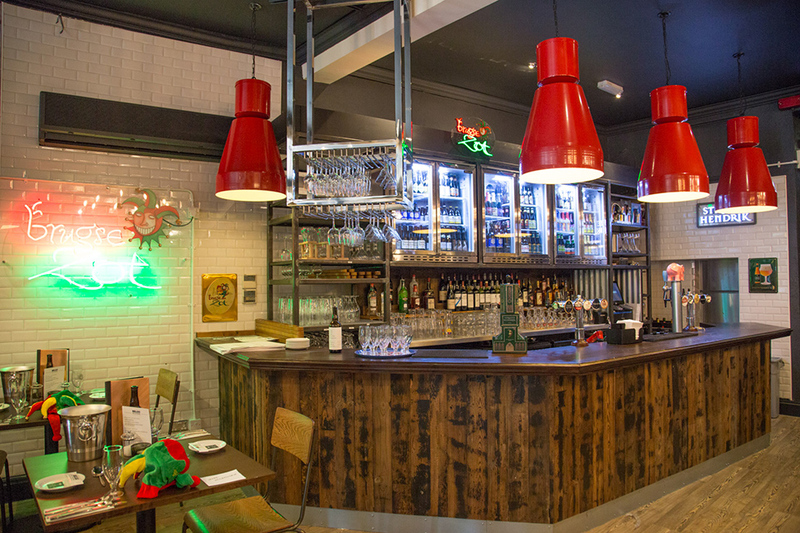 We always love the food and atmosphere at Belgo Nottingham, I only marked one point down for atmosphere today because the banging party upstairs overflowed a bit by being really loud. Not a big deal and was the first time this has happened. Good atmosphere, tasty chips but chicken burger had a strange texture and taste. Friendly service, tasty mussels, restaurant nearly empty. Lovely sunny spot. Nice selection of mussel dishes and great for a family meal before going to the theatre. Had amazing time kind friendly staff ! Good food, uncomfortable seats, “background “ music far to loud. Hot food friendly staff good service! Delicious moules frites for £5 with a discount code; very loud table nearby; attentive service. Restaurant had run out of mussels. Not ideal for a restaurant specialising in mussels! Welcoming service, moules frites were fresh and tasty (and discounted through Wuntu app). Not many other diners, but it was a Tuesday. We booked a meal for two on Thursday, lovely decor and great service. My favourite dish was the chocolate mousse, absolutely devine. Lovely mussels, highly recommend the Spanish style or Belgian style bowls, very yummy. First time visit here and must say it was fabulous, great choice of beers and the food was excellent, will definitely be visiting again. Food was very nice. Only bad point was de-shelling the king prawns. Normally a king prawn falls away from the shell, but these ones stuck to the shell and made it such hard work. Except from that, we enjoyed our experience. Great recommendation. Excellent service and great food. Will go again! Team Christmas Party, quite a large party to say the least. Had a fantastic welcoming. Was a slow service for our starters, we did have some late comers and notified of some that could not attend but after confirming we were ready, the food was slow to come out and one person was missed out and had to remind staff for the starter. Table cleared well but then the main course was around 30 mins later arriving. We was told it was due to having two other large parties elsewhere in the building. Main course came out and handed out promptly at the same time. All party members really enjoyed the food and all complimented how tasteful the food was. Only downside, some food came out cool (still eaten as people were really hungry), some meals were a mix of hot and cold and a few dishes were hot. Plates were slow to be removed on this occasion. The party were getting bored and started drinking games. This led to chasers and the party becoming a little noisier. Desserts came out and were very tasty to which all persons enjoyed. The drinks package that was initially agreed was not initially upheld and had to discuss further the package, luckily had email print out of what had been ordered. value 3/5 as I know some places had paid more for their Christmas meals. Drinks were costly. Service 3/5 due to slow service of food, bar service was effective. Everyone has a lovely time. The meal and service was very good. A special thank you to Fatima who worked so hard ensure that everything ran smoothly. She went over and above her normal duties to ensure that everything was correct. Many thanks for a lovely evening! Unfortunate experience at Belgo this weekend. Food was very average, the waffle dishes my friends ordered were quite disappointing, and definitely not worth ordering. Very slow service, took an hour to dine get our sharer plate and another hour to receive our mains. Were offered free drinks, but it only if it took another 5 minutes, 5 minutes later the food arrived and no free drinks. The waiter was apologetic, but all together it was very disappointing. I don't think I will return in a hurry. Good food at reasonable prices. Plenty of choice with smaller portions for the lighter appetite. Would go back! Venue was pleasant...loved the live entertainment that evening; service was quick but it was not busy that night...food good but we only had basics so expect simple food to be good...a little pricey for what we had but hey...was worth it considering we both had a lovely evening. Waitress was on the ball and professional...always smiled. Traveled over 50 miles having organised a family celebration at Belgo to experience LOBSTERFEST...After being seated, ordering drinks and nibbles on table we were told there was NO LOBSTER.. this is at 5.30pm on a Saturday...not 10.30 pm. Everywhere in the place advertises LOBSTER, the website screams LOBSTER, we all wanted LOBSTER...they had NONE...totally conned...a disgrace! Lovely meal as always at Belgo. Regularly visit this place! We went on a bad night! There was a private party upstairs but the two lots of music upstairs & downstairs didn't work! It was very loud and distracting and we had to wait for ages to be seated! Didn't make us feel valued! Food was amazing, fast and friendly service! 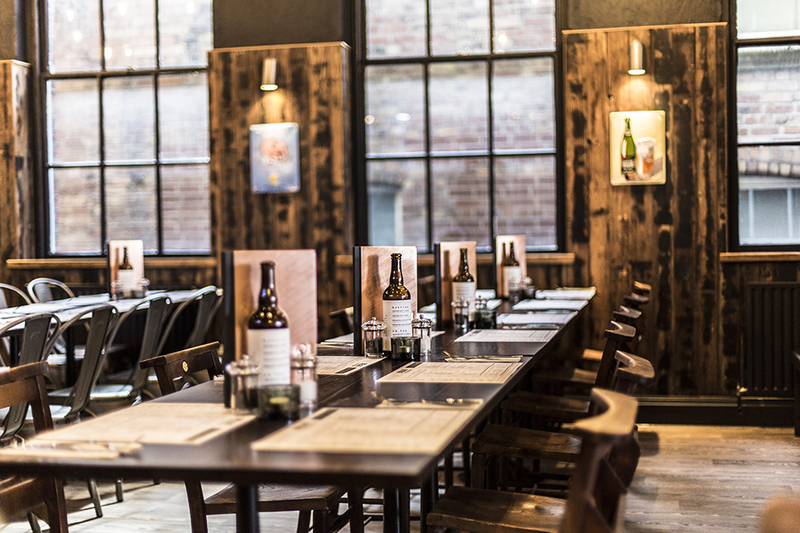 Mother loved her first visit and looks forward to planning another meal at Belgo soon! Enjoyed a meal with the family. Children's meals fine not problems. Enjoyed the mussels and the cocktails. One waitress was particularly attentive to our children which we really appreciated (especially as she was working on New Year's Eve). Over all good. Enjoyable meal at Belgo in a lively atmosphere. Opted for the Christmas menu which had to be pre-ordered. Started with decent portion of mussels in a creamy white wine sauce. Main course was turkey breast with trimmings which was very nice. Disappointed that the crepe was served cold for the dessert. Excellent service from the polite Hungarian waiter. The place seemed to open up more as a bar later in the evening so we had drinkers sat on the tables next to us whilst we were still dining which I didn't think was good. Server was welcoming at Belgo, helpful and knowledgeable. Atmosphere was lively and just right. Food was superb, moules et frites, just like we remember them in Bruges! Delicious! Lovely mussels and wine at Belgo! 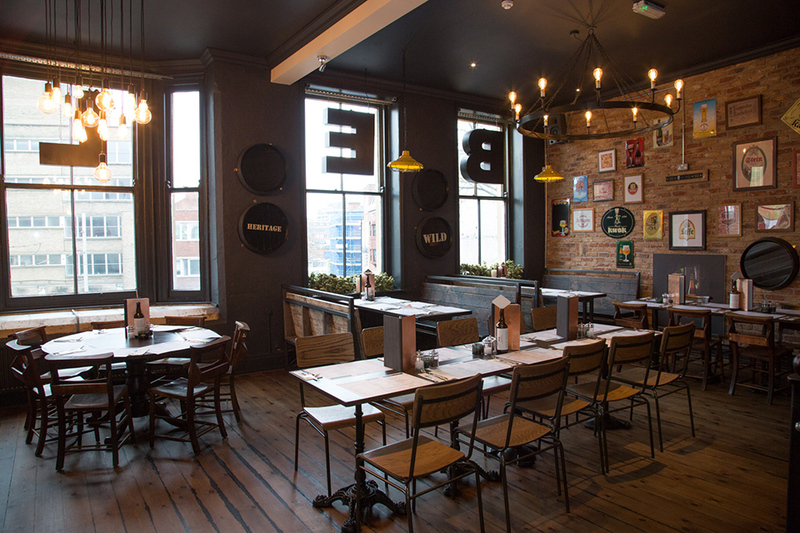 Branching out from its London base, Belgo has chosen Nottingham as its first extension from the capital. 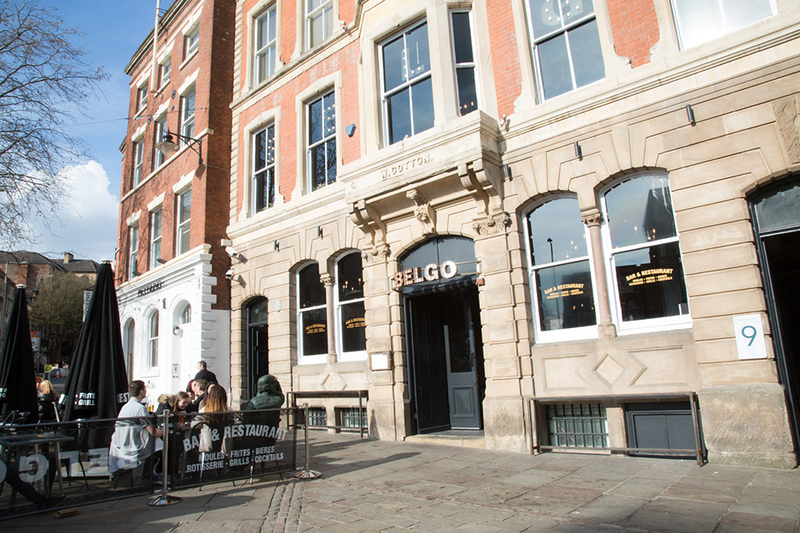 Located on Weekday Cross, conveniently close to the centre yet still in the heart of Nottingham’s Lace Market, Belgo looks to bring the vibrant atmosphere of a Belgian dining hall onto the city’s diverse food scene. The restaurant itself reflects the nature of the food: perfect for modern diners but steeped in tradition. 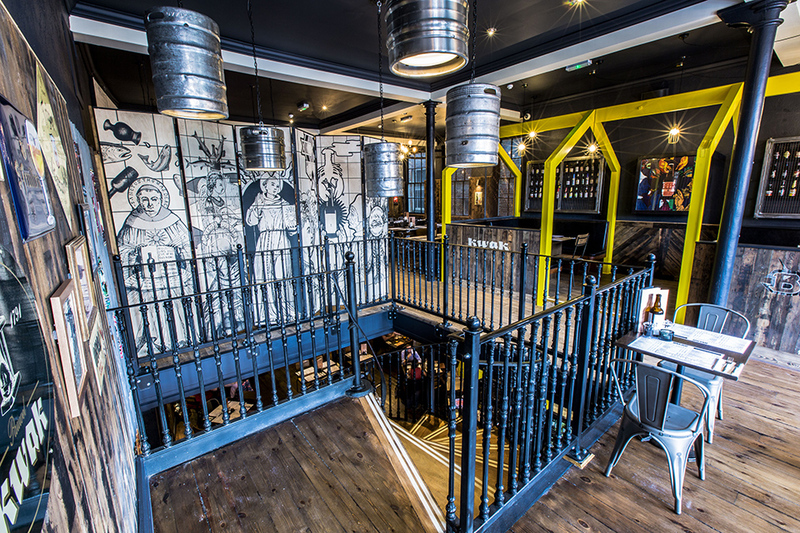 With reclaimed wood, a spiral staircase, bold artwork and Gothic-feel chandeliers, you’ll be ready to feast. There are smaller tables as well as big banquet-style seating, perfect for large groups. 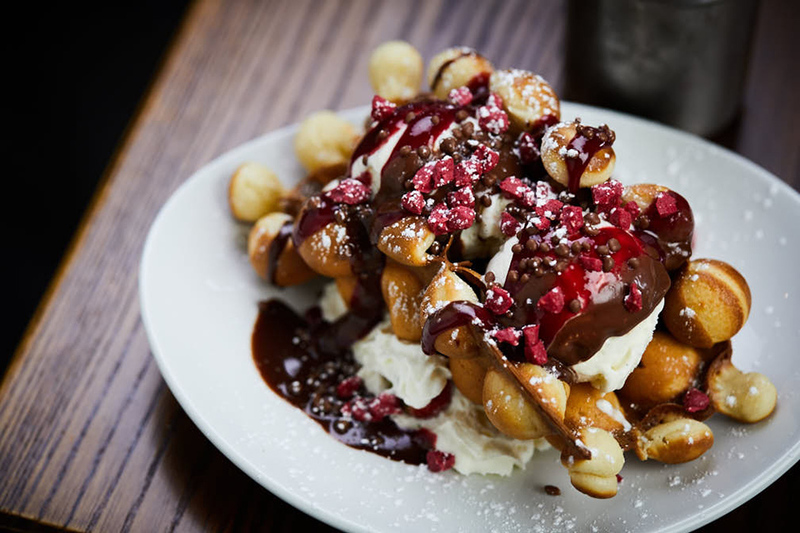 If you’re looking for hearty food with an elegant twist, Belgo delivers. Mussels can be accompanied with a range of dressings, from the traditional to the fusion: classic herb and garlic, delicious green thai, or even spicy Japanese Kimchi. 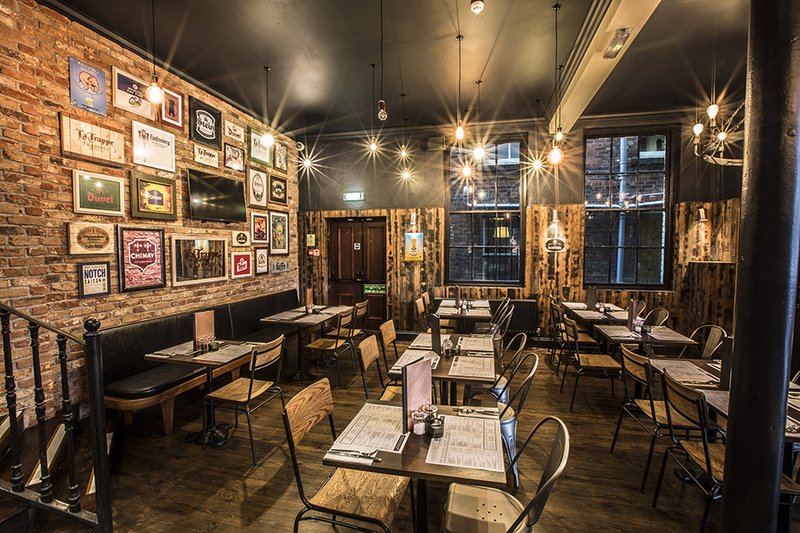 If mussels aren't your thing, Belgo offers a wide range of mains including Carbonade and Stoemp Mash, Bad Boy Burger and Crackin Salad. Belgo certainly doesn't skimp when it comes to big food and flavour. 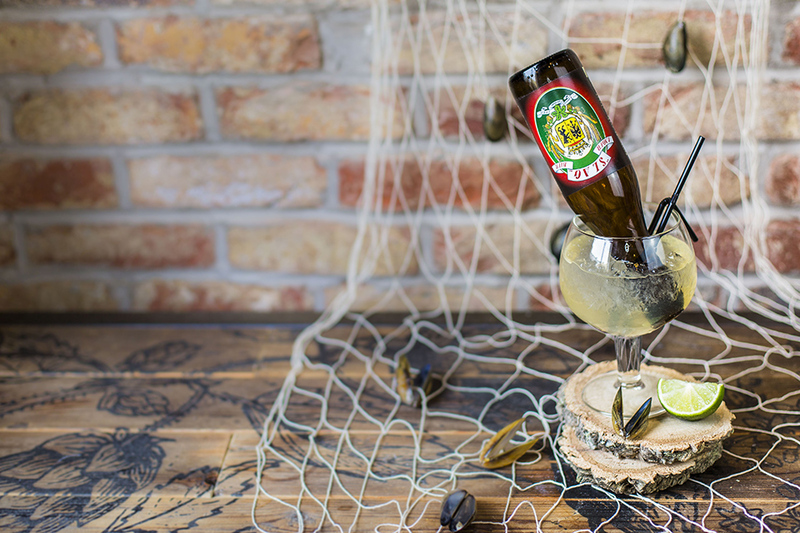 In addition to delicious food, Belgo’s drinks range is nothing but impressive. With over 70 craft beers available, served in a unique range of vessels, you’ll be spoilt for choice on the beverage front. Not a beer fan? Belgo offers plenty of delicious cocktails, with happy hour every day from 5-7pm. Students can enjoy a NUS discount here. Please contact the restaurant for more information. 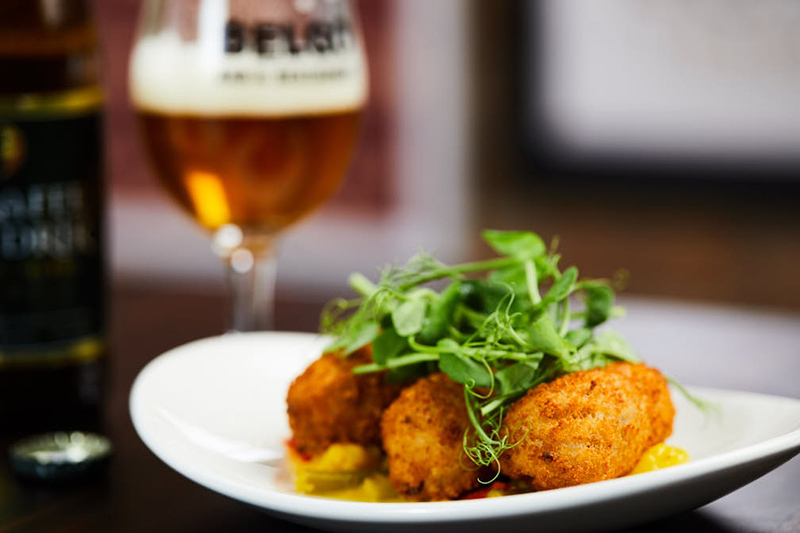 For authentic food with a cosmopolitan feel, perfect for date night or to catch up with friends over, Belgo’s Belgian dining experience is the ideal choice. The cuisine, drinks and atmosphere combined are guaranteed to impress. A Belgian classic. 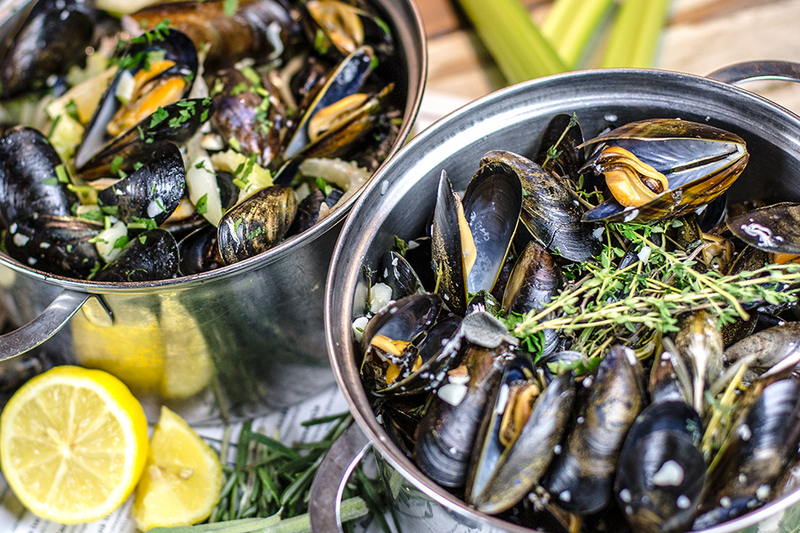 Fresh, cooked to order *Shetland mussels in a pot or on a platter. Looking for an Express Lunch?! From 12 - 5pm, Monday - Friday, Belgo offers some favourites from their Express Lunch Menu, you can enjoy 2 courses for £9.95. Offer not available during December. 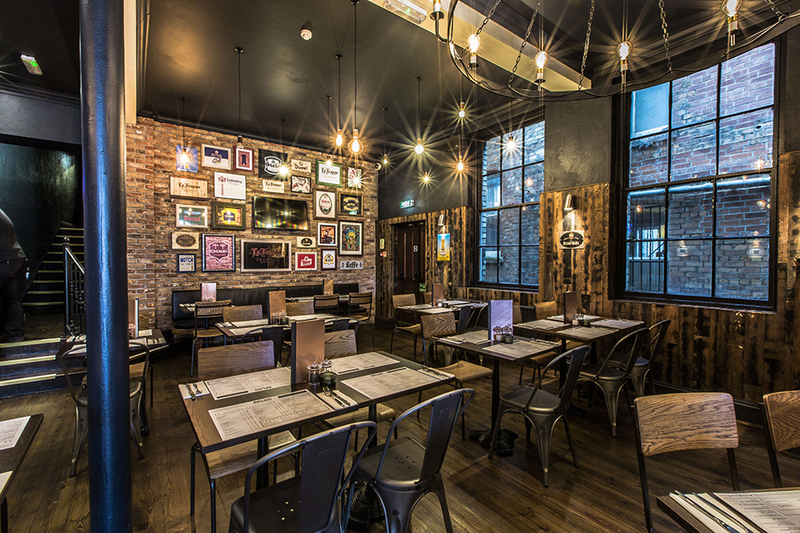 Treat your little one to a 3 course meal at Belgo for just £5.95!